Speaker: Jeane Wynn of Wynn-Wynn Media speaking on "Getting Known Before Your Book Deal"
ABOUT JEANE: Jeane Wynn is creative, intense, and outgoing in everything she does. She says, "I believe life is all about the details, so I am always looking for ways to make life special." As a publicist, these qualities have served her well. With a degree in communications from OSU, she began her career in 1989 as a salesperson for NavPress. She then moved to marketing at Waterbrook and Honour Press where she hired and worked with other publicists. At the urging of a friend to start her own firm, she founded Wynn-Wynn Media in 2001. The company is a combination of Jeane‚s love for good books and her understanding of all aspects of publishing, from acquisition to editorial to marketing to sales. She and her husband run the business together from their office-on-Main-Street in the tiny town of Welch, OK. Thanks to Carla Stewart, author of Chasing Lilacs, for this info! I just discovered that Chip MacGregor has retired from blogging. The archives are still up, so check out his postings. There are some extremely helpful tips for writers on there. Maybe he'll write a book (or has he?)! 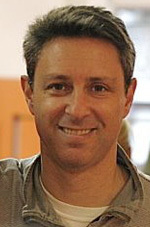 Writer's Digest Conference in New York, January 21-23, 2011. Topics include branding, marketing, publishing options, revision, building the perfect plot, blogging, and more. Check out the session descriptions and speakers. There is something for everyone! I found this informative article on self-publishing by David Carnoy (editor at CNET): Self-publishing a book: 25 things you need to know. He covers the why and how, as well as caveats of self-publishing. A must-read for anyone considering self-publishing. 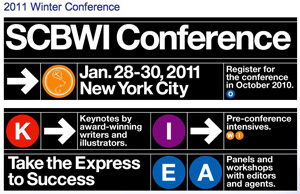 The 2011 SCBWI Winter Conference will be held in New York City this year. My family lives in New Jersey and Delaware. I'm seriously thinking of going to the conference and visiting my family. It's a big expense and I'll need to get one of my stories seriously polished to make it worth while.